what a great idea! I too have no money in the budget for a projector at this point, but often get requests for "character" cookies or some other such thing. Recently I did Mario and made a stencil of the outline of his head and just freehanded in the detail...I piped it onto the cookie first then filled it in like a coloring book. It turned out great but your way would have been A LOT easier!! Thanks for the tip! This is SUCH a great idea!!!!! Genius! I am totally doing this!! This is totally amazing!! Thank you sooo much for sharing!! OH MY! All this time I've done the poke a hole in the cookie trick...this idea is SO MUCH BETTER. Thank you!!! I need a tutorial of the glazes that I see cookiers on Facebook using. Where should I go to find that. These are incredibly beautiful cookies! Does the water have any effect on the finished cookie or do you use so little that it doesn't matter? Thanks for posting these. So incredible. The water does effect the surface a little bit and too much water can start dissolving the sugar but I didn't have any problems with it this time. The glaze finish is really slick and smooth so maybe that helps it stand up to the water. You should always use as little water as possible though. As for glazing information, I know that Pam at Cookie Crazie does a lot with glaze as well as Sweet Hope Cookies. 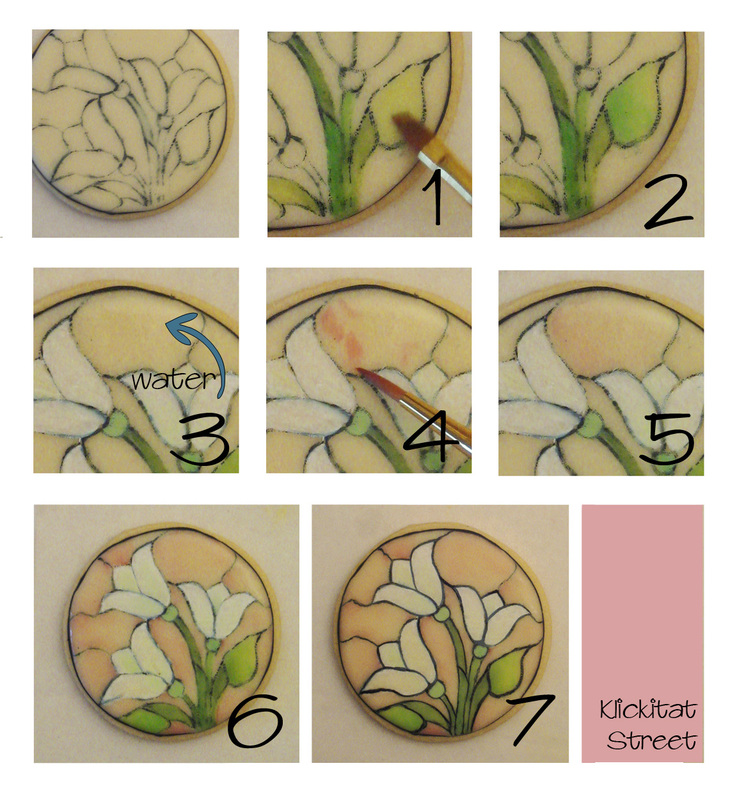 Jodi at the Wonderland Cookie Company has also been blogging about her glaze experiments lately. I would start with those ladies as they seem to know their stuff! Brilliant!!!!! I LOVE IT and can't wait to use this SOON!!! :)Thanks for sharing! So smart! These are beautiful! LOVE this idea! I feel like this could work on almost any design! Thank yo so much for this wonderful tutorial! I love the way you got the design onto the cookie! Learning that technique alone solves so much for me. These are just lovely cookies! Voy a probarlo , me ha encantado y no me he podido resistir a compartirlo con los fans en facebook. Gracias de nuevo y ya te enseñaré mis galletas, aver que tal se me dá, je,je. Awesome. Thank you so much. 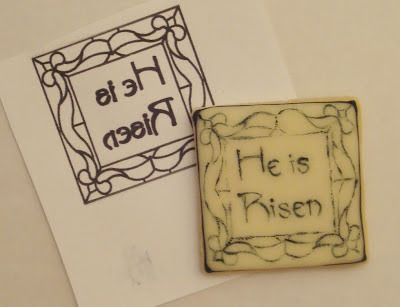 I do cookies freehand because as a hobby the projector is just to much of a investment. Cant wait to try this!!!! I hope to try this soon. It is so beautiful and would work perfectly with so many ideas. That's brilliant!! I recently bought a projector and honestly, not sure it was worth it!! This is so much more precise and you don't have to worry about shadows or how bright your kitchen is! Save your money, buy more vinyl! So Beautiful!!! 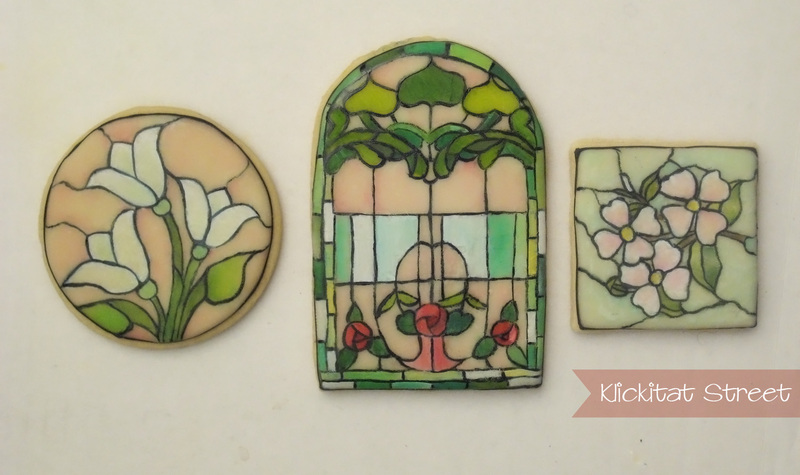 I've always loved stained glass designs, and you've done an excellent job on these. And the tutorial is excellent as well. Thank you so much! These are beautiful. How many can you "stamp" before you have to repaint? Thanks for the tutorial. 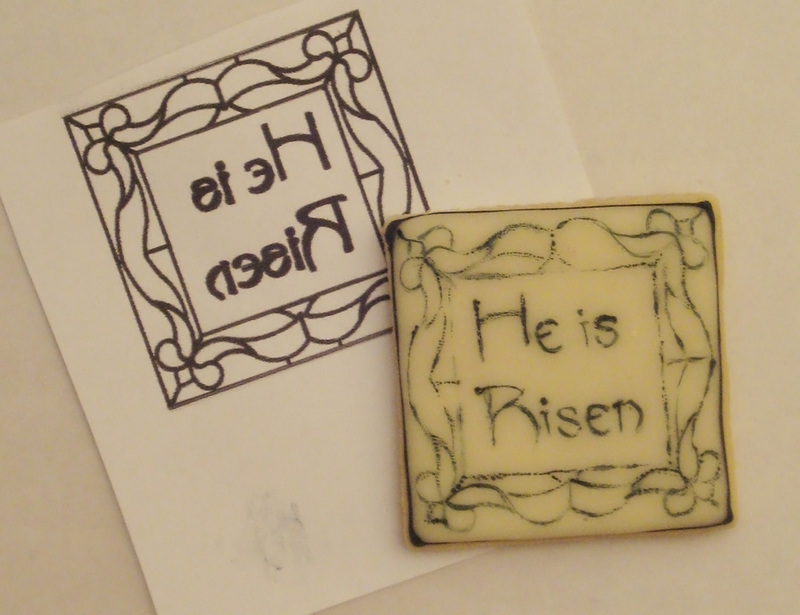 If the cookie has a nice smooth base coat of icing you can get about 3 stamps from the vinyl transfer. Hello! 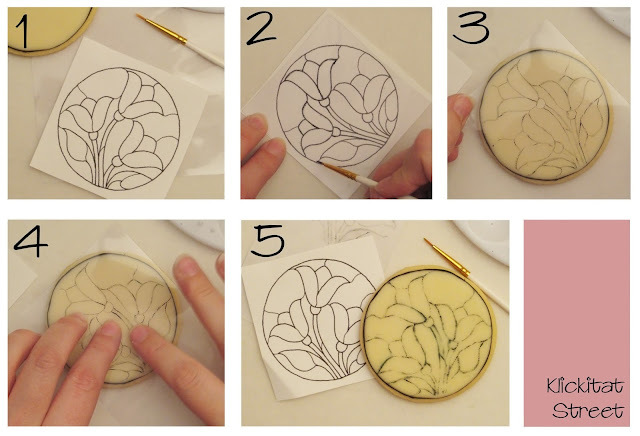 Thank you sooooo much for sharing this...I found a design that I wanted to do on cookie and thought of this blog entry I had read a few days ago, I am so glad I remembered it was yours, and I just hope it'll work out!!! Your cookies are absolutely gorgeous by the way, so beautifully delicate!!! Thank you! Fantastic, just what I was looking for. Thank you! I bought a (used) KopyKake a while ago and finally had time to set it up today. And after reading this post and looking at stained glass designs on google, I can't wait to try this technique! 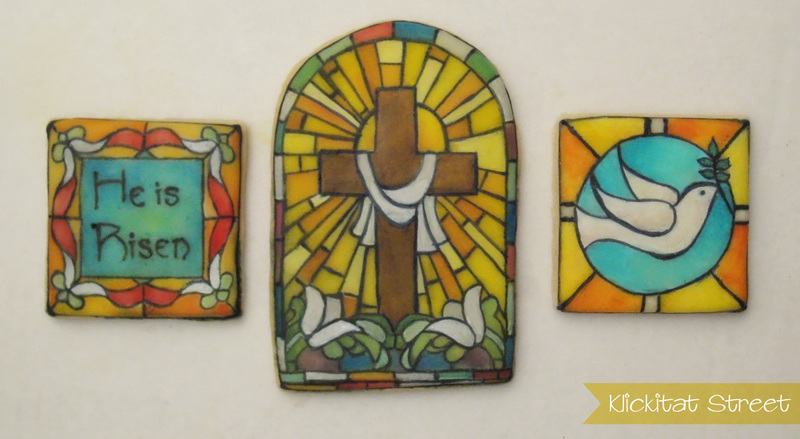 When I first started decorating cookies, I used glaze so it won't be too hard to go back to using it. Thanks so much for the inspiration! I literally loved it. Do you have idea about best deal for everest double glazing prices? If you will tell shortly,it will be very helpful for me and many.